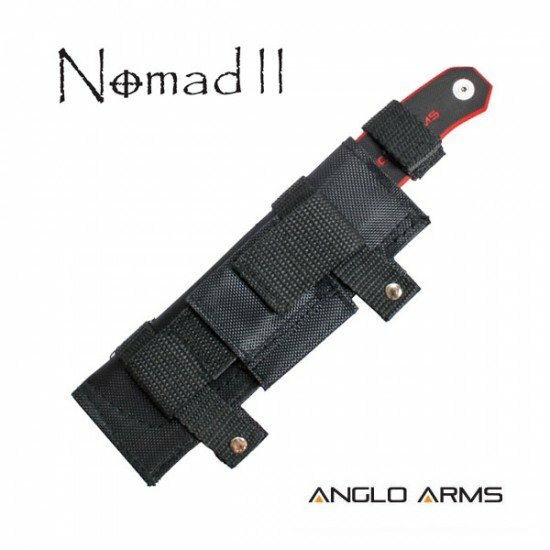 A flat style, red and black, modern, sturdy, fixed blade knife. The blade has a gut hook. 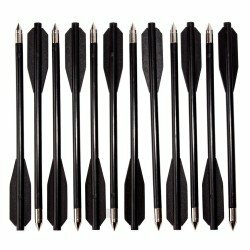 12x 6.5 inch plastic crossbow bolts suitable for 50lb and 80lb pistol crossbows. 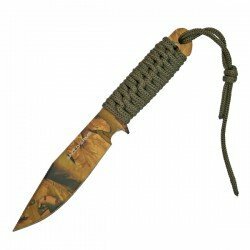 ..
7" lack hunting knife with sheath in black, green or camo. 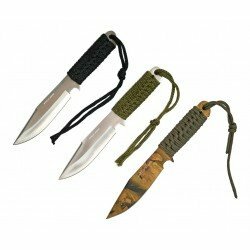 A string made from the same material as the lacing is attached to the top of the knife so ..